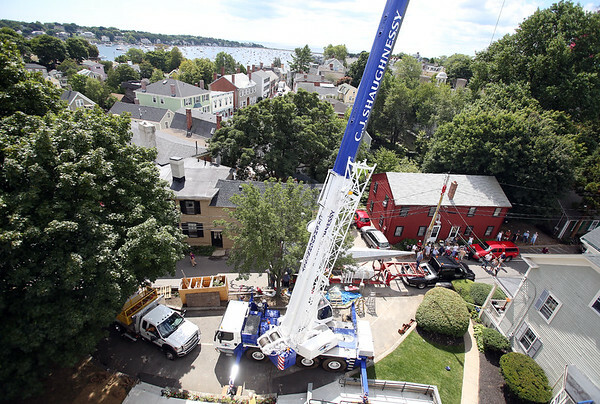 A large crane prepares to raise the new steeple for St. Michael's Church in Marblehead on Thursday afternoon. DAVID LE/Staff photo. 8/28/14.